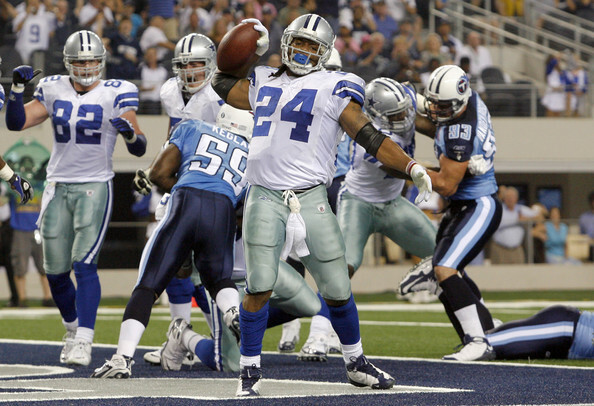 The Cowboys welcome the Tennessee Titans to town on Sunday. The Cowboys are ready to get back to work after a bye week last week. Despite getting off to a slow start to the season, Dallas is optimistic about getting back on track and getting those early season bugs worked out. Not a moment too soon, as Jeff Fisher bring his high motor Titans into town. There are some very dangerous players playing in this game. For the Cowboys they will look to get RB Felix Jones more involved in the offense this week. Jones has been held in check hovering around 7-8 touches a game and making very little impact on the outcome of games this season. Jones has exceptional speed and quickness and can make defenders miss in the open field. The will look to get him the ball in space which means screens and sneaking him out of the backfield on passing downs. With Jones’ speed the Cowboys will also try to use him on tosses and sweeps around the ends. Another player the Cowboys want to get involved is TE Jason Witten. In the first two games of the season Witten was held in check only catching 8 passes. In week 3 against Houston Witten hauled in 7 catches and was instrumental in the Cowboys moving the chains. The Cowboys will look to get Witten the ball to keep drives going. While it may not be flashy, against a tough and very quick Titans defense the Cowboys will need to move the chains. For the Titans, their two weapons are in their backfield. RB Chris Johnson is the fastest player in the NFL. When he gets the ball, defenses need to stay disciplined and bottle him up. Look for the Cowboys to creep up a safety to try to contain Johnson. The Cowboys defense has been good against the run up until their game against the Texans when they gave up 130 yards on the ground. Johnson is an electrifying player who has had a rough start to the season, but is due to break out. He is also a threat out of the backfield on passing downs. The other key player for the Titans is QB Vince Young. Young is a dual threat. He can throw the ball but he can also use his legs to escape the pass rush and pick up yards on the ground. While Young can make all the throws, he is also big and fast and does not shy away from contact. The Titans have faced some controversy this week. After their loss to the Broncos last weekend, the Broncos were making mention of how the Titans were “dirty” and “cheap”. Broncos QB Kyle Orton was one of the biggest critics. The Cowboys were not bated into a discussion about it. All they would say is that the Titans are a very hard working and competitive. Coach Wade Phillips was quick to say, “They are a very aggressive and hard working team. They are prepared to play every week, which is what you expect from a Jeff Fisher coached team.” The Cowboys will need to be prepared to match if not exceed their intensity. This game will come down to defense. Whichever team is able to bottle up the other teams main weapons will be the team that comes out on top. 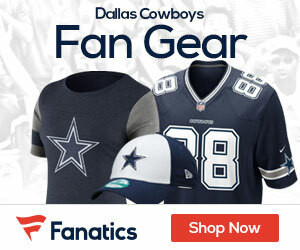 Dallas will bottle up the run and make the arm of Vince Young beat them. Young lacks real weapons on the outside with WR’s Kenny Britt and Nate Washington his biggest targets. At the end of the day I think the Cowboys will do enough on offense and bottle the Titans up on defense. They will pick up a key home victory 31-17. 1) Cowboys rookie WR Dez Bryant is looking to make a bigger impact this week. He has been steadily improving each week and has the speed and hands to cause a lot of problems for the Titans lack of depth at the corner position. 2) Titans CB Cortland Finnegan is close to a shut down corner but his aggressive nature can get him out of position sometimes. Look for the Cowboys to go after him with Miles Austin and try to set up a couple of big strikes down the field by tossing some quick hitters and comebacks. 3) The running backs on both sides of the ball. Both teams are going to try to run the ball. It may come down to who establishes the better game on the ground and can eat up the most clock keeping the opposing offense off the field.